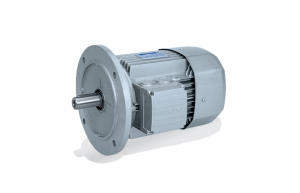 The IEC-normalized BE motors comply with IEC 60034- 30:2008 (efficiency classes) and all the applicable international standards, including the EMC and LV Directives. They are available in the 0.75 – 22 kW range in both foot and flange mounting versions, the latter in both the IM B5 and the IM B14 configuration. There is also a single pole version available, although this is not fully supported in Australia. Once again, the real strength of the Bonfiglioli motor range lies with their brake motors. There are two brake options on offer; one DC and one AC supply, lending further flexibility to the system. All motors are inverter duty. The catalogue can be downloaded by clicking here.